100 images of Japan taken over 13 years by award-winning photographer Jason Hindley will be exhibited in London to raise money for the Japan Tsunami Appeal. 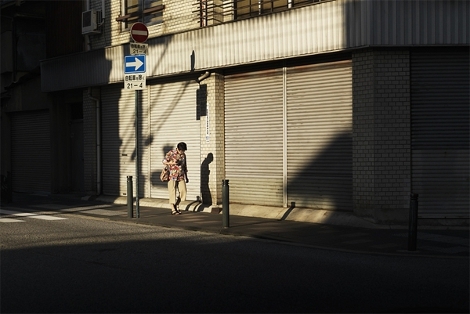 The images of backstreets, public spaces, and people going about their daily life reveal subtle details in an intimate and yet reserved manner, conveying a unique sense of everyday Japan, all taken by a person who has Japan close to them. We at Japan Centre actively support Jason’s passion and empathy to Japan. A country we are inextricably linked to, they need all the help that we can give and this is a great opportunity to contribute. The exhibition will take place from 20th May to 3rd June, at the PrintSpace Gallery in Shoreditch, London with a private viewing on the 19th of May at 7 pm. At the private view event everyone will have a chance to win great raffle prizes, enjoy welcoming drinks and also purchase the exhibited images at a charity price. All the proceeds raised at the exhibition will go to British Red Cross Japan Tsunami Appeal. Please join Jason and Japan Centre at the event and help us to raise some donations for this noble goal. Posted in Food and tagged Exhibition. Bookmark the permalink.